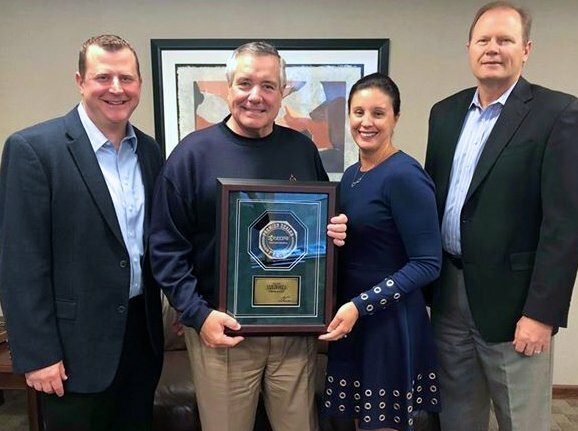 SumnerOne Receives Premier Status Presentation From Kyocera | Industry Analysts, Inc.
St. Louis technology company SumnerOne was recognized recently by Kyocera. Making the presentation were Roger Rinkenbaugh, Area Sales Manager, left, and David Ardies, Regional Sales Manager with VP Danielle. Since 1937, they’ve been going “above and beyond” for their customers, and it shows in their remarkable success. Bravo! This entry was posted in Kyocera and tagged award, copiers, kyocera, printers, SumnerOne by IA Staff. Bookmark the permalink.